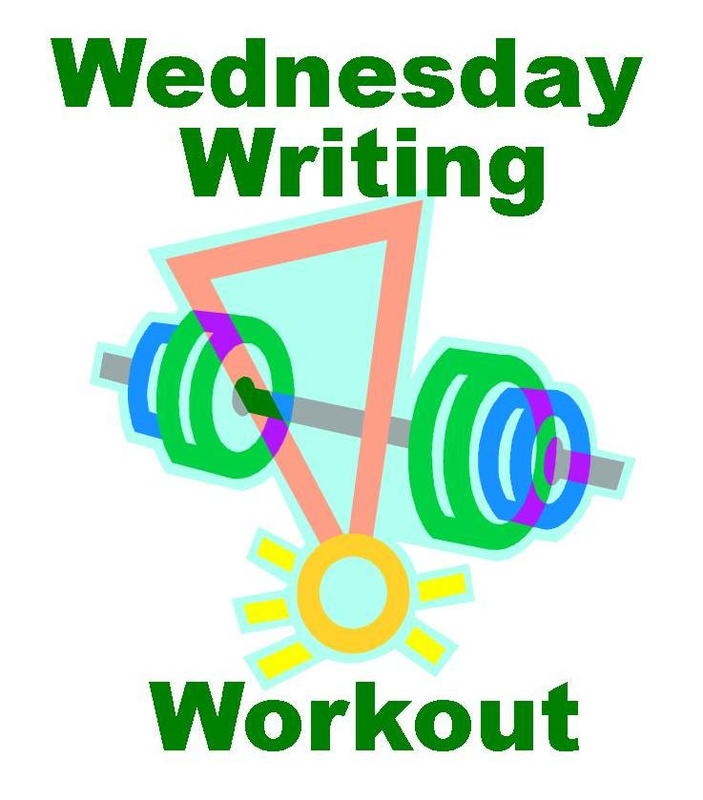 Teaching Authors--6 Children's Authors Who Also Teach Writing: Wednesday Writing Workout(S): THINKING WITH INK! Yes, indeedy. 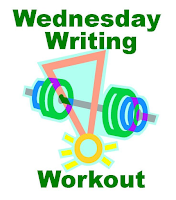 That’s Wednesday Writing WorkoutS, plural. And that’s because Sheboygan, Wisconsin author, educational consultant and veteran elementary and middle school classroom teacher Michael Leannah has made our month of May even merrier by generously contributing 4 Wednesday Writing Workouts from his recently-released book WE THINK WITH INK (Brightside Publications, 2016). Michael writes fiction and nonfiction for children and adults. Tilbury House releases his picture book MOST PEOPLE in August. Two other picture books are soon to follow: GOODNIGHT WHISPERS (Familius) and FARMER HUCKINSHUCK’S WILD RIDE (Splashing Cow Books.) His stories have appeared in U.S. and Australian magazines. 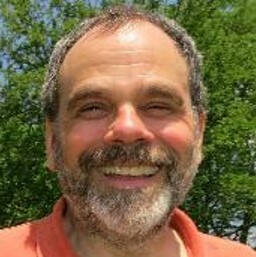 He authored the award-winning SOMETHING FOR EVERYONE: MEMORIES OF LAUERMAN BROTHERS DEPARTMENT STORE and is the editor and contributing author of WELL! REFLECTIONS ON THE LIFE AND CAREER OF JACK BENNY. 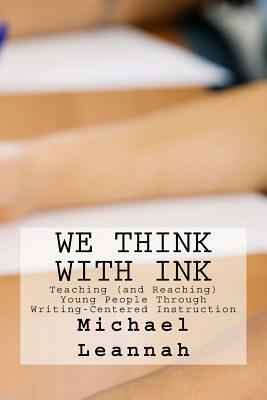 WE THINK WITH INK is a trove of lessons, projects and activities designed to increase reading and writing skills in the classroom…and beyond. It’s an ideas book for elementary and middle school teachers seeking to merge writing instruction into science, social studies and math classes. It’s a guide for teachers looking to help students increase self-confidence and self-esteem. It’s also a book for students working independently on creative writing skills as well as a manual for learners young and old – i.e. me and you, our TeachingAuthors readers - who aspire to be good – even published – writers. Check out today’s WWW and try your hand, then be sure to return the next three Wednesdays in May to do the same. Thank you, Michael, for sharing your smarts, your passion for writing and WE THINK WITH INK writing workouts with our TeachingAuthors readers! Oh, and for making yourself available at contactmichael@gmail.com, should our readers wish to share their appreciation. together. We're workin' on it! In the process of writing our stories and poems, we learn from each other. We share our stories, compare notes, ask for honest opinions, help each other to improve our skills. Any writers who work together, be it in the classroom, in a critique group, or just two friends who regularly get together to compare stories and give feedback, must develop a sense of trust. They must come to know each other quite well. To jumpstart the entire process, it is good to begin with a “Get to Know You” activity or two. In the school room, the following activities may be used during the first week or two in September. Because we are complex individuals and our feelings change over time, it is good to work in a “Get to Know You” activity once every couple of months throughout the year. Teachers may give this as a piece of homework on Day One and ask for it to be returned in one week. This gives participants plenty of time to analyze and describe their interests, likes, and dislikes. Encourage students to explain their answers fully, using well-written sentences. Because the papers will later be shared (read aloud or passed around to be read silently), participants should provide information that is interesting and — to an extent that is comfortable — revealing. Students are required to answer at least seven of the ten questions. When it is time to share, students will read their answers aloud, or have a friend or the teacher do it. 1. In what cities have you lived? 2. What do you like about your favorite food? 3. What character in a book or movie do you admire? 4. What character in a book or movie scares you? 8. What’s the scariest or most dangerous thing you’ve ever done? 9. What would you say or do if you met your favorite famous person? 10. What do you think you’ll be doing when you’re 30 years old? * When asking a “What would you like to be” question, I recommend putting a time limit on it. Would I like to be a lion or a mosquito or the president of Germany, Brazil, or Zimbabwe? For an hour, maybe, but no longer than that. This “Get to Know You” activity works well as an ice-breaker for students meeting for the first time, as well as a way for familiar students to get to know each other even better. I suggest using this activity several times throughout the year. Place the students in groups of two or three. Students will ask each other the questions and record the answers. The interviewers will then report to the class and share the information learned during the interviews. Perhaps my favorite method of “Getting to Know You” involves the writing of notes back and forth between student and teacher. I found an old-fashioned rural mail box at rummage sale and used it in my classroom for this purpose. (If a real mailbox is not available, a decorated shoe box will suffice.) When students placed a note or letter inside the box, they raised the little flag on the side so I knew a delivery had been made. I respond promptly with a note passed during lunch or some such time. In the rush of the day, students sometimes don’t have the opportunity to share news concerning personal troubles, worries, and concerns (divorce, sickness in the family, older siblings moving away, etc.). The mailbox allows students to communicate with the teacher in a way that is secret, safe, and satisfying. As the year goes on, “Get to Know You” activities become increasingly unnecessary, because, due to all the writing and sharing and critiquing going on in the classroom every day, members of the class naturally get to know one another better and better every day.